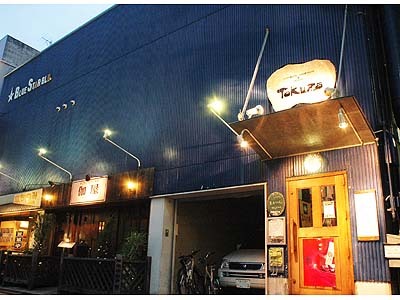 Since 2008, Hikashu has been holding concert series late December every year. Now it becomes a kind of ritual where fans throughout the country come to attend. It draws crowd and it's understandable because a lot of bright moments happened there. For example, last year the Plastics appeared. They did a full set, 90 minutes with an encore, and their performance was utterly impressive. 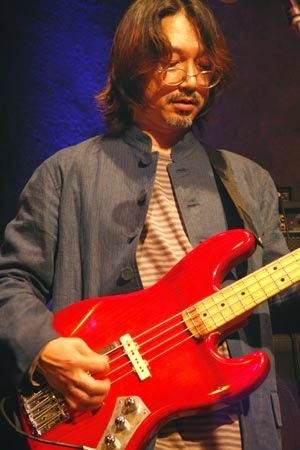 And this year's event also has a special guest; Togawa Jun. 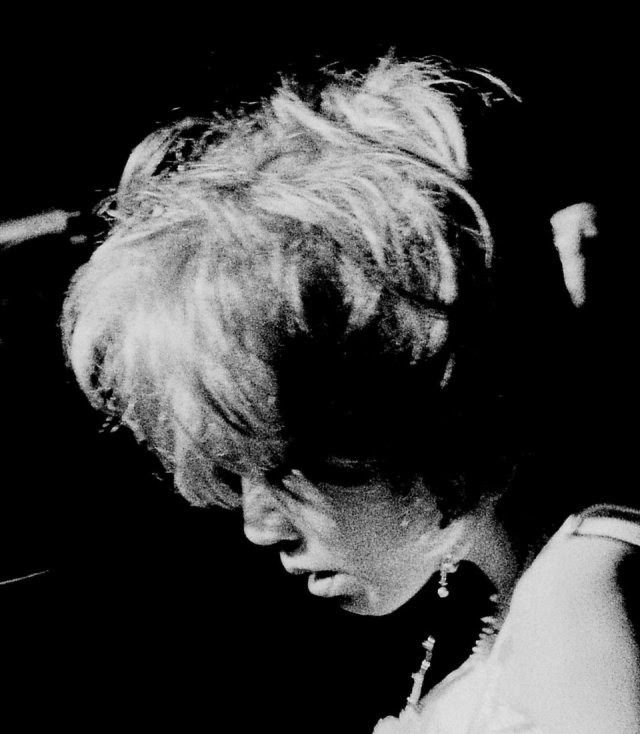 In 1980, Togawa came to the scene as a vocalist of Guernica, a group led by a noted composer and keyboard player Ueno Koji. Her presence was outstanding, and she became one of the representative chanteuses of Japanese new wave movement, along with Phew (of Aunt Sally) and Ogawa Mishio (of Chakra). This year's event is special because this is the first time for Hikashu and Togawa performing together in public since 1982. 32 years ago! There was a double-bill concert of Hikashu and Guernica at Studio Alta, Shinjuku, Tokyo on December 31, 1982 so that is the last time, until now. There is one more important thing about the Shinjuku Alta concert for Hikashu's history because it is the first gig ever bass player Sakaide Masami performing in the band. Since then, he's been with them. Regarding this year's concert, there are other notable guests. Okuma Wataru is a clarinet player who's also the leader of an ensemble called Cicara-Mvta. Tatsumi Kogoro is a trumpeter who has played with Shibusashirazu Orchestra and others. Hayashi is a guitarist-vocalist of an electro-pop band Polysics. Moreover, there is a DJ set by Nanawo. This year's event is billed as "Hikashu's Christmas Expedition of the Terra Incognita." Surely it sounds like a pretty exotic and exciting place to be. Let's join the ride. 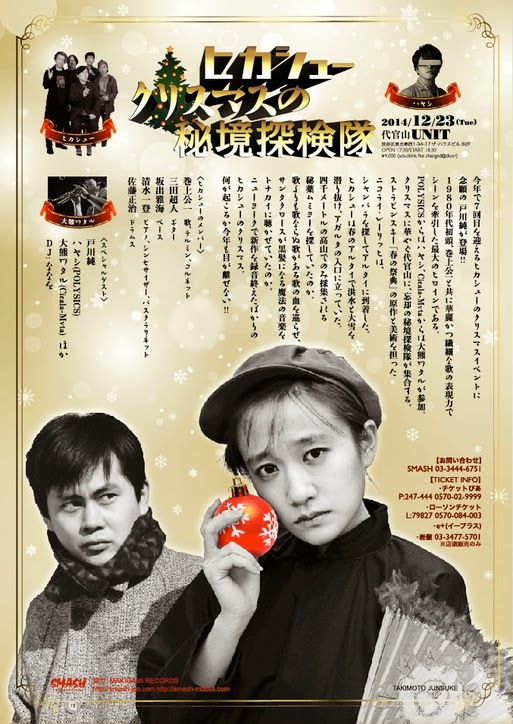 "Hikashu's Christmas Expedition of the Terra Incognita"
On December 4, Hikashu will perform at WWW in Shibuya, Tokyo. They are invited to play, as a guest, at a gig of the Peggies, a girls band just released their first album. Bolot and Hikashu have performed together in Altai, so they know well each other and blend well. Actually they are interesting mix. And Tandarai. It was last year she performed in Japan for the first time, and quickly fascinated the audience. It was quite sensational. And she'll come to Japan again. 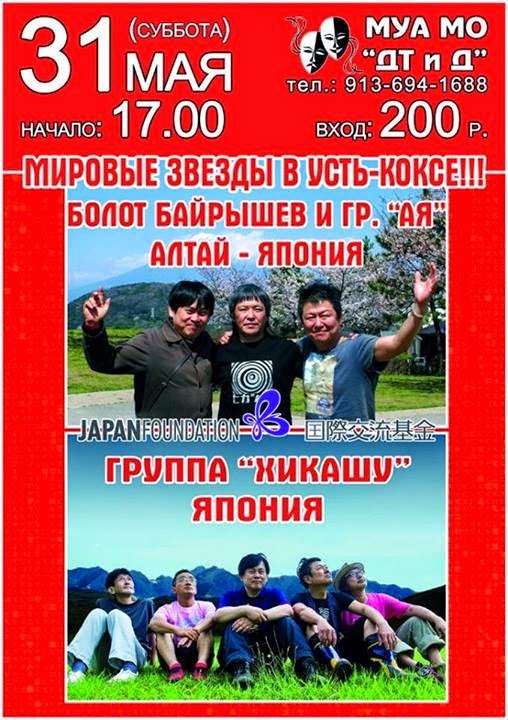 And as the first day of the tour, there will be a public viewing of the Hikashu's Russia Altai tour 2014 video. 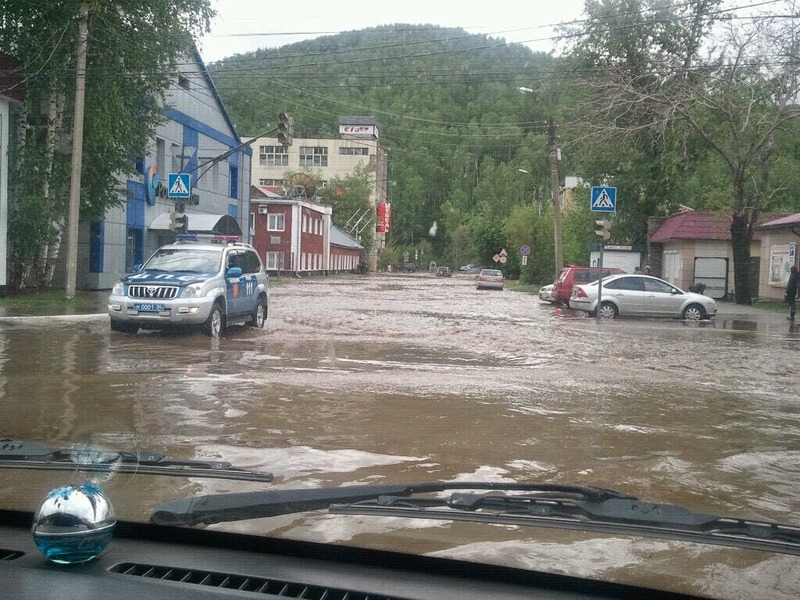 Hikashu and Bolot toured together in Altai this spring and it was so eventful: flood, snowstorm, show cancelled last minutes. Fortunately, they recorded video of the tour entirely and will hold an event about the tour where they reminisces the memorable tour with Bolot while screening the video. Surely they'll be wonderful evenings. 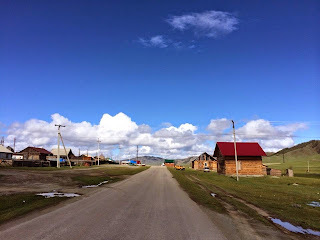 "Public viewing of the Hikashu's Russia Altai 2014 tour video"
"Hikashu, Bolot Bairyshev, and Tandarai"
As for a tour with Bolot Bairyshev and Tandarai from Altai Republic, we'll have a different entry about it. "Bolot Bairyshev, Tandarai, and Hikashu"
Right now Godzilla is back and has made quite a sensation all over the world. This year is truly special - the 60th anniversary of the first movie, and the centennial of Ikukube Akira's birth. Mr. Ifukube is one of the greatest composer in post-WWII Japan and gave us a lot of beautiful music including the splendid soundtrack of the original Godzilla. Naturally, there must be some commemorations. Godzilla Legend is a solo project of Inoue Makoto. Inoue is a man of many faces - an original member of Hikashu, a devotee of Japanese kaiju movie, a diligent historian of Japanese underground theatre movement in 1960-70s, and the authority of the works by Ifukube Akira, who has been his esteem since childhood. So Godzilla Legend is back as well. And the line-up is a killer. All the members of Hikashu is there. Two drums, three keyboards, a full horn section, and the charanpo sisters as cute little pixies. 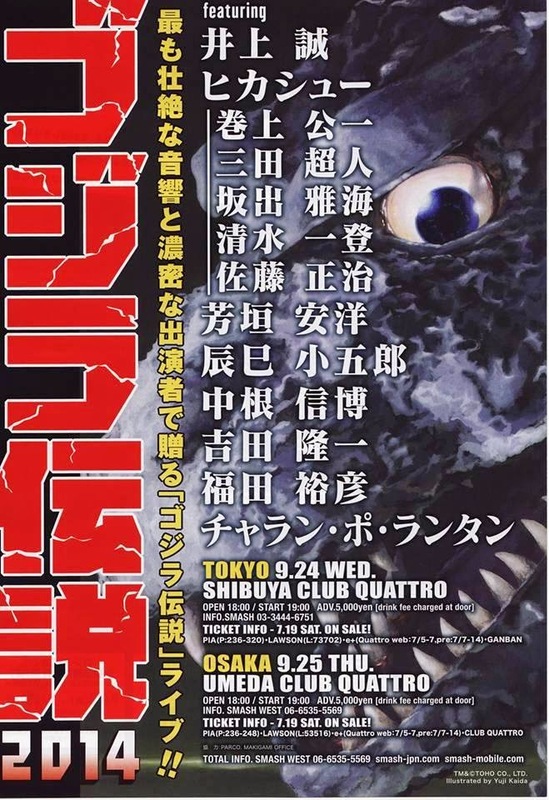 The concert of orchestral Godzilla Legend is the first time since mid 80s. This is a precious opportunity, and must be a beautiful evening. An absolute must-see. 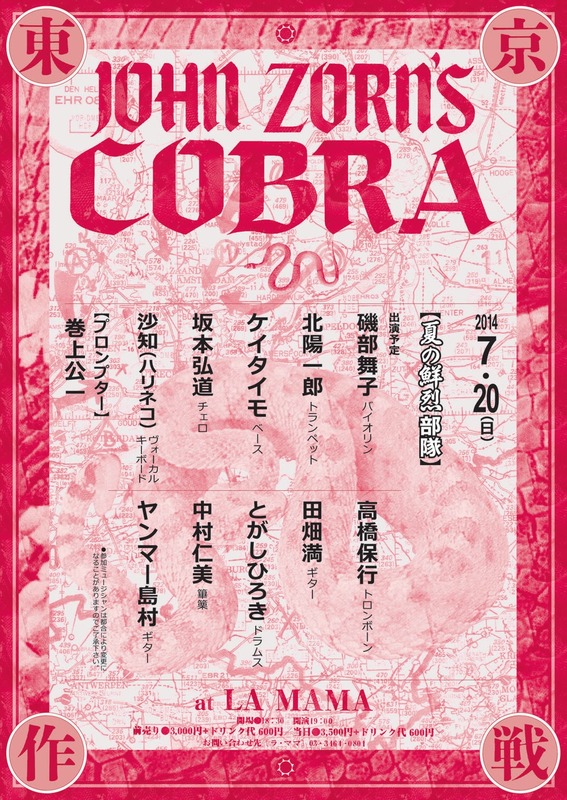 Shortly after the Nagoya operation, John Zorn's Cobra comes to Tokyo. The line-up is quite interesting - it has some veretan musicians and Hikashu's guitarist Mita Freeman is also there. "John Zorn's Cobra Tokyo Operation"
Hikashu at Bolshoi Theatre, Moscow, June 2014. 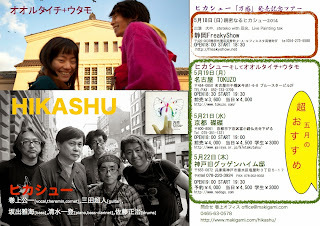 This month Hikashu does a short tour of three cities, and a double-bill gig with Nakano Teruwo in Ikebukuro, Tokyo. In Osaka, they perform at a rock festival called Positive Neuroses. They are the last act of the three days event. Nagoya is the third largest city pf Japan and there are some fine musicians in the place. This month some of them gather to perform a famous game piece by John Zorn, and they are all women. This is the first time all women's line-up playing the piece in Japan. 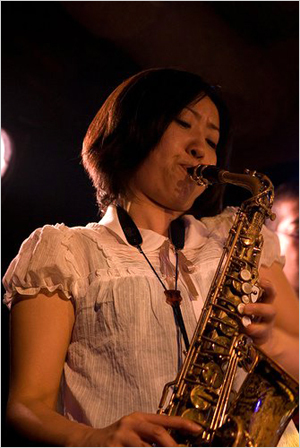 The unit leader Ono Ryoko is a saxophonist based in Nagoya. Besides her own activities, she is also known as a frequent collaborator of drummer Yoshida Tatsuya (Ruins, Painkiller). She has just released the first solo album of her own called Undine. Her web site is here. "John Zorn's Cobra Nagoya Operation"
Hikashu will perform at an event called Ashigara Mirai Ongaku Festival on August 23. This is the only public appearance of the band this month. Also Jim O'Rourke's new band Kafka Ibiki (Kafka Snore) is on the bill. It's an outdoor event, held at a riverside location called Kaisei Mizube Sports Park where could be easily reached via train (about 1 hour ride from Shinjuku station on Odakyu line). You can enjoy Japanese-style fireworks after the gig. More than anything else, it's admission free. As usual, the band started improvising. Mori Ikue sat in throughout the set and her sound was very audible from the beginning. After about ten minutes, sans any interruption, the performance was gradually segued into Digital Frankenstein. 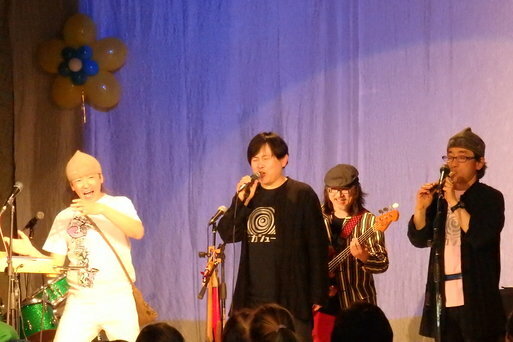 This is exactly the audience expected because Mori participated in the original studio recording of the song. It was quite extended because there was a lot of interplay in the bridge - the entire performance was over fifteen minutes. The set lasted about an hour, and the bright electro fragments from Mori's laptop embellished the atmosphere overall. It was a splendid evening with imaginative music. 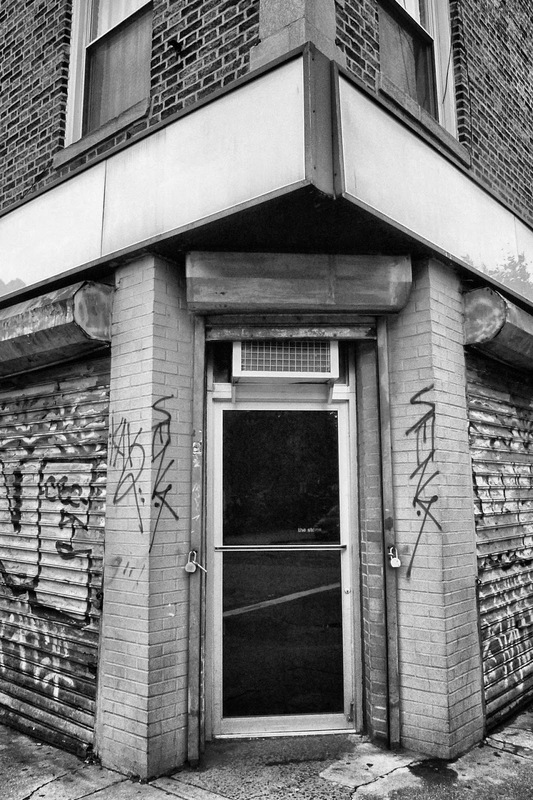 Makigami and Mori will play together again at the Stone NYC in October. They'll perform as Agra Dharma, the trio with pianist Sylvie Courvoisier. The next Hikashu gig is on July 16 at Star Pine's Cafe in Kichijoji, Tokyo. It's the first full length gig since February so don't miss it. See here for detail. 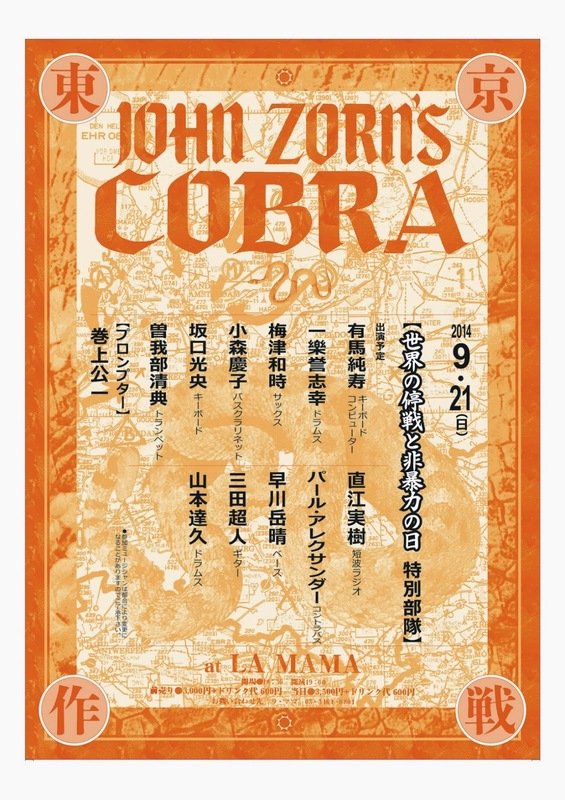 John Zorn's Cobra is back to Tokyo. Besides Fuji Rock Festival, Hikashu has two gigs in Tokyo next month. 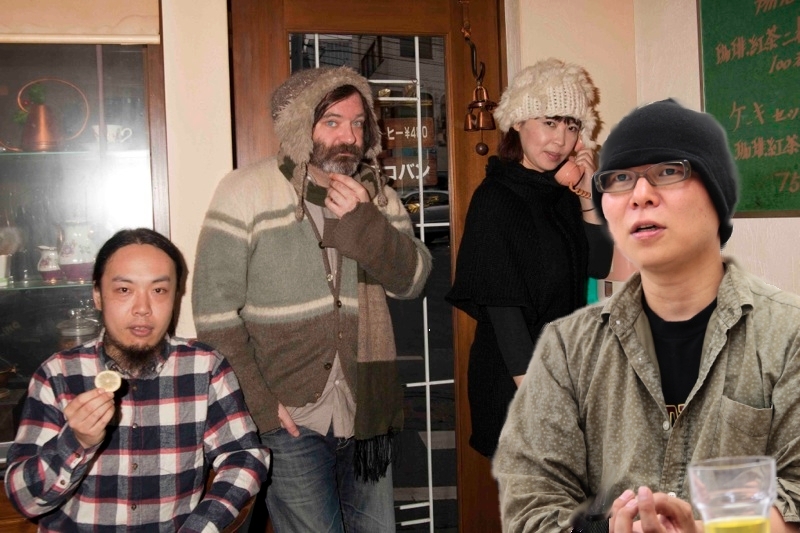 One is at Moonromantic in Aoyama on July 1 with guest Mori Ikue, and the other is at Star Pine's Cafe in Kichijoji on July 16. For the Aoyama gig, there is other act, a band called Aragehonzi. Their style is interesting - western pop blended with traditional festive music of Japan. And regarding the Star Pine's gig, Hikashu is a sole act, playing over two hours. A full length show for the first time since February. Recommended. As we've notified before, the Stone in New York City holds a weekly residence of Makigami Koichi this fall, and line-up of the event is just revealed at the venue's site. To put it mildly, this is utterly exciting. Don't miss it. 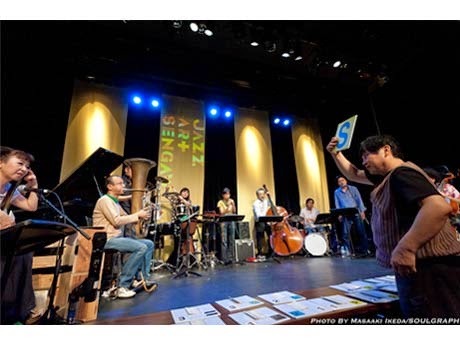 Jazz Art Sengawa, one of the most celebrated events for jazz and improvisation in Japan, is held on September 5-7 this year. The venue is Sengawa Theatre at Chofu, Tokyo. Its producers are Makigami Koichi, Sakamoto Hiromichi, and Fujiwara Kiyoto. The tour has ended. The band has completed all the gigs as scheduled and now heading home. The following photographs from the tour is provided by the band via SNS. The Moscow 24 station introduces Hikashu and their gig at DOM. Есть уникальная японская группа "Хикасю", которая раз в год - полтора едет в тур через всю Россию, начиная с Дальнего Востока, в Москву и Петербург. Их очередной московский концерт состоится уже 4 июня. There is a unique Japanese band "Hikashu" now on tour across Russia, starting from the Far East to Moscow and St. Petersburg. Their next concert in Moscow is on June 4. This summer Hikashu performs at Fuji Rock Festival, the biggest musical event in Japan. 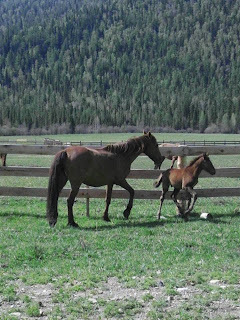 Their appearance is the day two, July 26. This is the third time for them playing at the festival - they were there in 2011 and 2012. 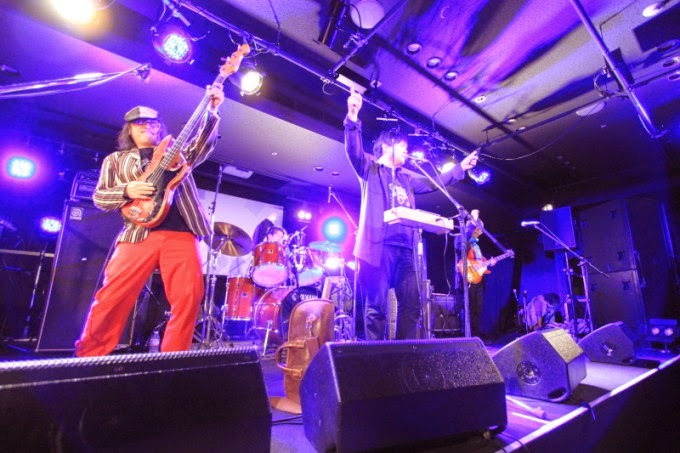 And this time, as billed themselves as "Hikashu Free Improvisation Summit," they plan to do a special set, focusing on improvisation, with guest musicians, including veteran free-form reedman (and Jim O'Rourke's favorite) Sakata Akira. He's a frequent collaborator with Hikashu as well. Sakata appeared at Hikashu's christmas concert last year, and they did an improvising jam which turned out quite splendid. So this collaboration has been road-tested and you could expect a bright moment this time, too. 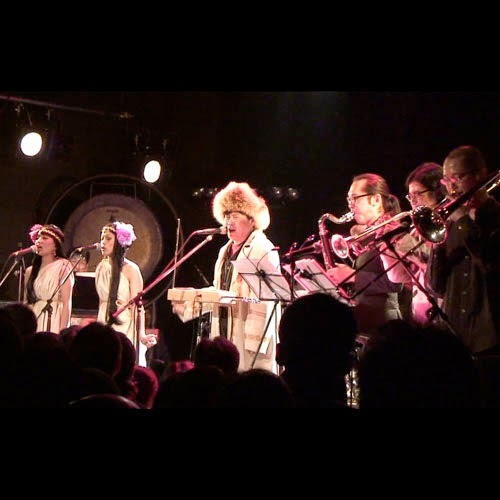 Hikashu performs Nyu'nen at Fuji Rock Festival 2011. This footage is from TV broadcast. Unfortunately, this is the only segment actually aired. 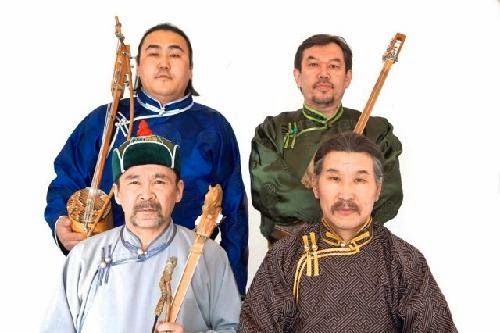 Huun Huur Tu, the world renowned throat-singing ensemble from Tuva, comes to Japan in July. The tour is organized by Makigami Koichi. Once taking charge of the tour, Makigami acted swiftly. He promptly booked the group to Fuji Rock Festival, the biggest musical event in Japan, and reserved a concert hall in central Tokyo. 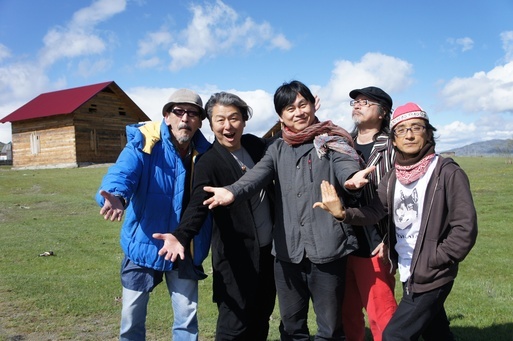 "Huun Huur Tu Tokyo Concert 2014"
Hikashu tours Russia including Siberia beginning May 29. The band has toured Russia two times, in 2011 and 2012 respectively. Be sure to act early and secure your ticket, especially the DOM gig, because the demand for the show is expected so high, as the last time. Один из наиболее известных проектов знаменитого японского вокалиста-экспериментатора Макигами Коичи возвращается в Москву после триумфального выступления в ДОМе в рамках «Длинных Рук-7». Игравший с Джоном Зорном и Дереком Бейли Макигами – эксцентрик и шоумен от Бога, удивительный в своей детской непосредственности музыкант, признанный мастер постмодернизма, в своем творчестве заходит на территории джаза, поп-музыки, рока, психоделии, фолка, исследуя их с особым чувством – наверное, именно оно и дает приставку «авант» всему вышеперечисленному. 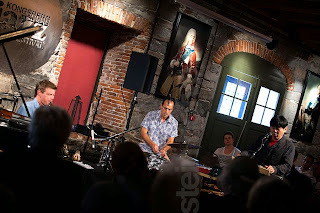 The Living Room Trio with Makigami Koichi at Kongsberg Jazzfestival 2013. Now the first Japan tour of the Living Room Trio has started and Makigami just uploaded two short clips from the gig at Valentine Drive in Nagoya on April 24. 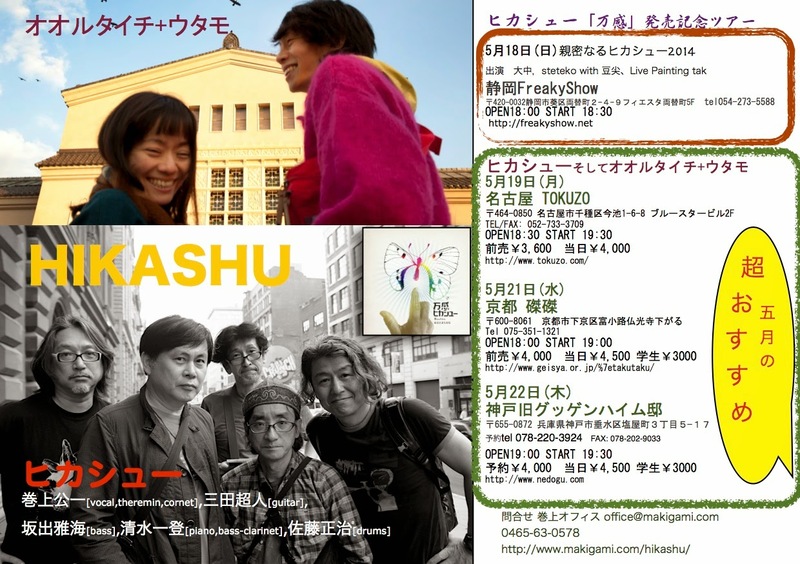 And tonight, April 25, they have a gig with Hikashu at Sakuraza, Kofu. And here comes a news - it seems that they will jam together. Sato: "Tomorrow, April 25, there will be a double-bill gig with Hikashu and the Living Room Trio from Northern Europe at Sakuraza, Kofu. Thomas Strønen is truly a fabulous drummer and I haven't seen him in a while. We have arranged two drum sets so maybe we'll play together. You must be excited!" 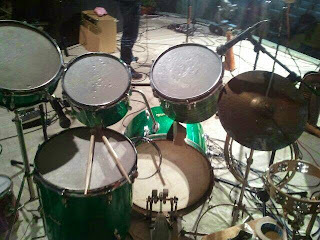 Makigami: "Tomorrow Hikashu will perform at Sakuraza, Kofu. It's the first time for the group to play there. And there will be a session with the Living Room Trio." Certainly this will be a special evening. The information of the tour is here. A review of the recent Hikashu releases is just published at allaboutjazz.com. It's written by Eyal Hareuveni who also reviewed the band's last effort "Uragoe" for the site. Japanese vocal artist Koichi Makigami's main musical vehicle has been his band Hikashu since the late seventies. 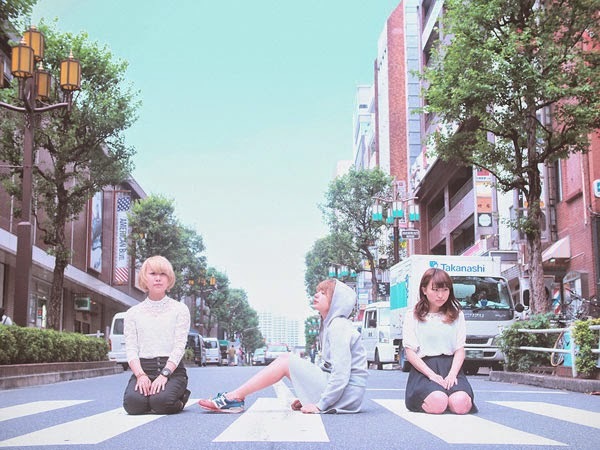 This band embodies Makigami's colorful eclectic tastes and myriad vocal personalities. 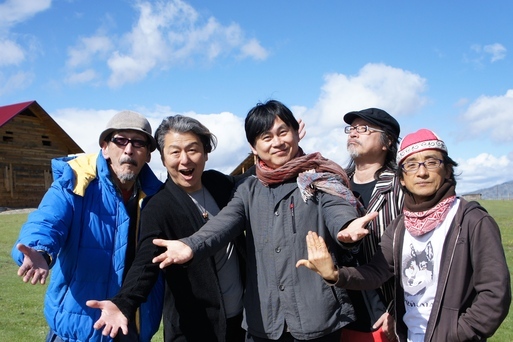 They succeed in tying together eccentric collective improvisations, Japanese theater traditions or elements from Japanese films and pop songs, references to progressive rock and wild, virtuoso vocal acrobatics. Hikashu's 21st album Bankan and the following EP Chakra Biraki [Chakra Opening] show that when it comes to Makigami and Hikashu, you can only expect the unexpected, but you are guaranteed to have tons of fun. It's always nice to see the albums got reviewed on media, and allaboutjazz.com is pretty favorable - it's mainly about jazz, of course, but not only that. They're eclectic, so is Hikashu. For a week starting October 28, Makigami Koichi will curate performances at the Stone NYC. Currently the line-up is under consideration but Makigami has already expressed that he intends to play with Hikashu for a few days. He also plans to perform with lots of guest like Bolot Bairyshev, the great performer from Altai. So don't miss it. The second leg of the tour supporting their new album will be held in May, and it covers the second and third largest regions of Japan.